Happy Birthday Strawberry Card See who I am sponsoring!! Fantabulous Guest Designer! Hello Crafty Friends! Today I am super excited because I am guest designing over at Fantabulous!! Yippee!! and not only am I guest designing, I am sponsoring their current challenge with my Skittles!! Double Yippee!! Check out all the details over at Fantabulous! Current Challenge: Challenge #199 All about you. Create a project using your favorite colors. Super easy fun, hands down my favorite colors are green and pink! See who I am sponsoring this week, win some SKITTLES! Whoo Loves You? Sweet Owl Girlie Card! Did you have a New Year's Resolution to enter more challenges and win prizes this year?? Then Come on and join me!! It's a new challenge at Docerela Creations! Today's Challenge is : Anything Goes! Bundle of Joy! For the LOVE of a Sweet Baby! Challenge time at 3 Girl Jam! Since I just love making baby albums I thought this would be perfect! Another page for my mini album! Looking forward to seeing what you love! It's my Birthday!! Birthday Blog Candy Give A Way!! Hello Crafty Friends!! 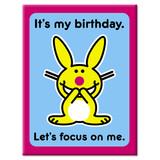 I am so excited because today is my Birthday! Yippee!! Last year when I turned 40, I faced it head on and now that I am turning another year older I have decided to start it off with a smile! This past year I have some how managed to cram in all the things on my to do lists, family, crafts, running, working and everything in between. There were many times that I struggled but always managed to find my way. This will be my 5th year celebrating my birthday with my blogging friends, Thank you for all your support, comments, emails, texts and phone calls. I can't imagine my life any other way. And thank you for the support of my Skittles! I hope everyone has been enjoying the new colors and releases! Thanks for sharing the today with me! Have you ordered your Skittles yet? True Love! 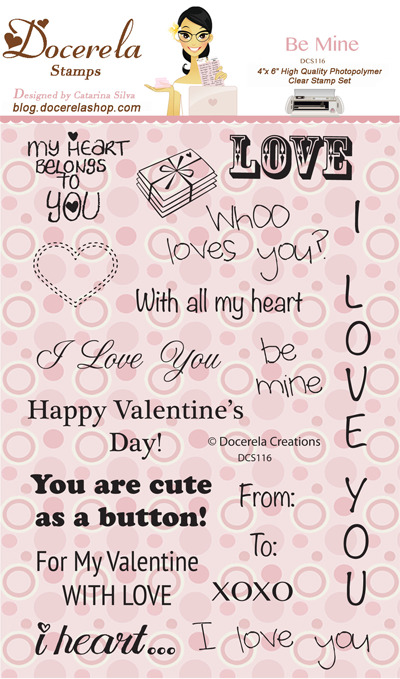 Non Traditional Valentine's Day tag! With Valentine's Day just around the corner I wanted to make a tag for my Husband's goody bag! I had in my mind exactly what I wanted so I actually pulled out my Gypsy to help me make it. The tag is huge at over 7"! Now we never carved our initials in a tree trunk but we have sketched them in wet cement! Hand doodling for R.V. + C.V.
Hello Crafty Friends! I have been working hard cleaning out my craft room! I have been sorting/selling and cleaning out all my stuff! After a year in the making I have FINALLY designed my craftroom Island! To say that I am excited is an understatement. Now that the plans are in writing my Husband will be getting to work in the construction of it. In the mean while... here are pictures of my craft space as it is now. As soon as my island is built, I will post pics!! Visit my Craftroom tour HERE! I didn't plan well enough this year to pull off my birthday blog hop... boo!! So I will be posting a fun giveaway in place of the hop very soon! Don't forget to get your skittles today! You can see all the fun colors available here in my SHOP! What I like about you, For My Valentine! Challenge Time! Valentine's Day Sweetness! Today's Challenge is : pink and/or red plus at least 1 heart! Clear it out: Song by: "What I Like About You" is a song by American rock band The Romantics. Heart brad from stash. Be my Valentine! Cupid Candy Box for a Happy Valentine's Day! I wanted to make a surprise for my girls for Valentines day morning before they head off to school. I picked up their favorite Tootsie Roll candies and made this super easy box from Sweet Tooth Boxes Cricut Cartridge! I cut the box at 11" and it was big enough for the entire bag of Tootsie Rolls! WeR Memory Keepers Cupid Stamp. I had fun coloring this little guy! Highlighted at Pause Dream Enjoy! Lace flower Tutorial! Easy way to make Flowers, With all My Heart Valentine's Day Card! Today I want to share a quick video tutorial on how to make lace flowers! Thank you for Inviting us Over! Super Bowl Sunday Party Thank you Card! 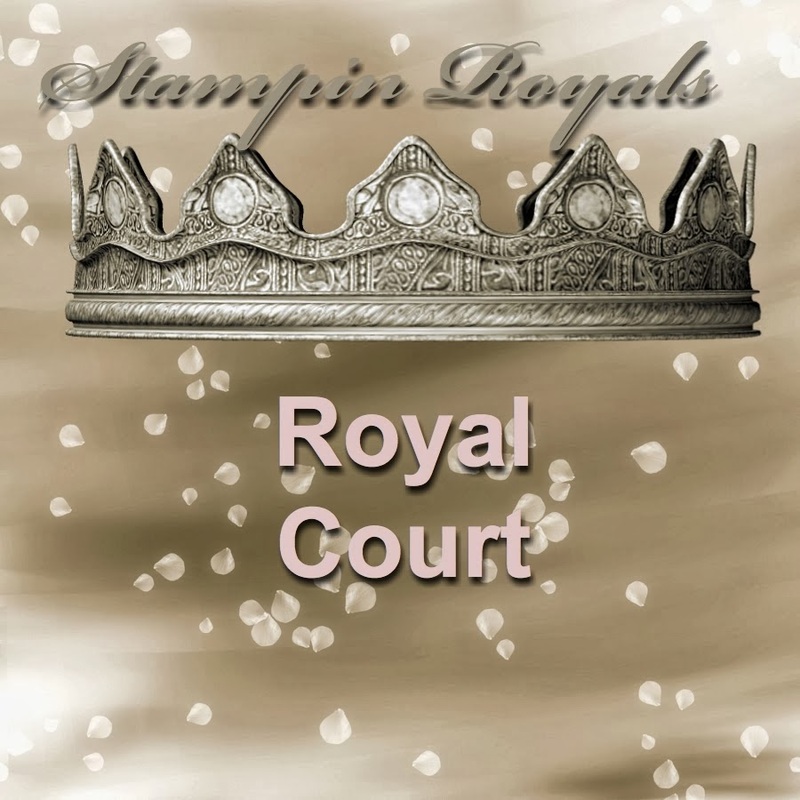 Royal Court at Stampin Pearls! And they Lived happily ever After..... An Engagement Card! We know someone that just became engaged! I wanted to make a card in celebration!